Fraser Island is one of the highlights of any East Coast Australia trip - so here are 8 epic reasons you should visit Fraser Island when down under! 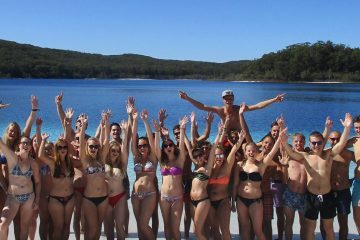 Trying to find the best surf camp Australia has to offer? Here are our favourite spots to hit the waves and learn to surf in Australia! 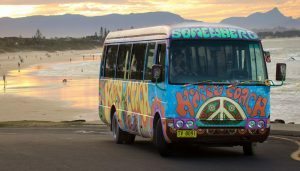 Trying to figure what to do in Byron Bay? 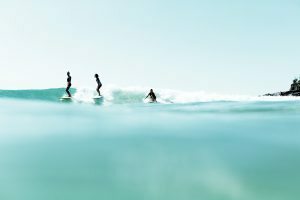 It's an incredible town - so from whale watching to surfing here are our top things to do in Byron Bay! Loka Travel has now become Stray Australia! 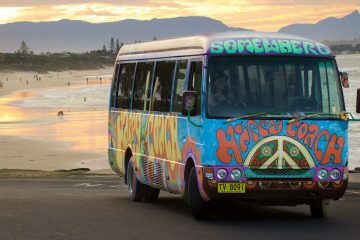 Check out their amazing range of hop on, hop off Australia bus passes covering Sydney to Cairns! Discover Australia for even less with the Greyhound WHIMit and accommodation packages! 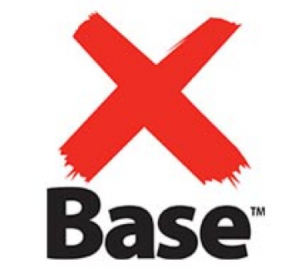 Bundle your unlimited travel with up to 28 nights at YHA Australia, Base or Nomads Hostels! Travelling to Australia and looking for a good place to start? Here's our mini guide to Melbourne - one of the most liveable cities in the world! Discover why it's such a popular spot to start your working holiday visa! Melbourne is any traveller’s best choice for a good time and Melbourne is one of the best places to start your working holiday visa too. Otherwise known as Australia’s cultural centre and most liveable city, Melbourne welcomes travellers and backpackers from across the globe to partake in the celebration of culture. With its abundance of cafes, galleries, boutiques, street art and performances, and public green spaces, it’s almost like Melbourne is tempting you to throw away your itinerary and simply explore. First things first, how do I get there? If you’re coming from another country, you’re very likely to find a direct flight to Melbourne. If you’re coming from Sydney, most would recommend opting for a flight as it’s the fastest route between the too. However you can jump on the Greyhound bus from Sydney to Melbourne or also include Melbourne as one of your stops on the Greyhound WHIMit Pass too. The southern parts of Australia have a temperate climate, so Melbourne weather remains fairly pleasant throughout the year. The hottest it can get is around 70°F (or 21°C) in January, while temperatures drop to 50°F (10°C) in the winter (July). You might, however, want to avoid the peak seasons, such as Christmas break, as accommodation prices go up and availability goes down. Sporting fans also fill up hotels during the Australian Open Grand Slam every January and the famous Formula 1 Australia Grand Prix in March. Where’s the best place to stay in Melbourne? If you’re looking to stay in a hotel, a double room for 2 begins at 120 AUD per night and many offer free breakfast during your stay. In the centre of the city, you’ll find doubles starting at around 200 AUD per night. With Airbnb, you could find a shared room in a home for around 30 AUD. Whole apartments may cost around 100 AUD, but you’ll get the comfort of space and privacy. If you can’t afford it, you can ask to work for your bed. Many hostels allow travellers to pay for their bed by spending a few hours a day cleaning. Keep this in mind should you find yourself in a tight spot. You could also try Couchsurf, which connects you to more than 57,000 trusted hosts willing to house you for your stay. This would also be a great chance to interact with locals and have them show you around. How do I get around Melbourne? From the get-go, you’ll need around 36 AUD to get to and from the airport via Skybus. If you plan on exploring around the inner-city area or the Central Business District, you can take the free city circle tram, which runs from 10AM to 4PM. For trains, you’ll need to get a Myki card that costs 6 AUD to get around. A Myki trip costs around 2.70 to 4 AUD and gives you unlimited travel within a particular zone for 2 hours. And of course, there’s Uber, which is much cheaper than taking a cab. What’s there to do in Melbourne? Melbourne has a multitude of hidden alleyways with antique coffee shops, galleries, arcades and boutiques, all waiting to be explored. 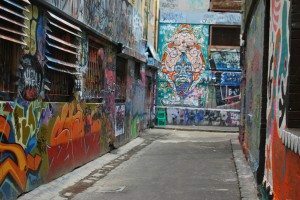 Hosier Lane is a well-loved alleyway famous for its vibrant and colourful graffiti art. If you’re a fan of the 19th century, then head to Degraves Street where you’ll find elegant cafes and arcades. Along the General Post Office by Elizabeth Street, you’ll also find plenty of talented musicians busking and performing for free. Melbourne is well-known for its obsession with coffee, so be sure to try as many cups of joe as you can while you’re there. They say Degraves Street is where you can find the best coffee in the city. In just a few hours, you could get years’ worth of knowledge about the essential must-sees of Melbourne for free. How? Join I’m Free Walking Tours’ daily tours around the city. Their walking tour will take you through Federation Square, State Library of Victoria, the Carlton Gardens, Chinatown and so much more. And should a certain place strike your fancy, you could always return to explore more afterwards. You could honestly spend a whole week in Melbourne just visiting their museums and galleries. 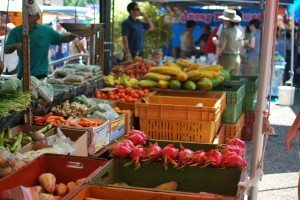 Visit the Queen Victoria Market and have fun trying local and international delicacies. You could also visit Chelsea Market which offers everything from fresh produce to handmade products. Escape the urban jungle and find refuge at the Royal Botanical Gardens. This haven within the city is the perfect place to take a stroll and watch the world go by. Just 20 minutes from the city, St. Kilda is the perfect spot to watch the sunset. You can also take a refreshing dip in the water. And if you’re looking for Melbourne’s nightlife, St. Kilda is definitely where it’s at. With so much to see and do it’s now wonder why starting your working holiday visa in Melbourne is so popular! 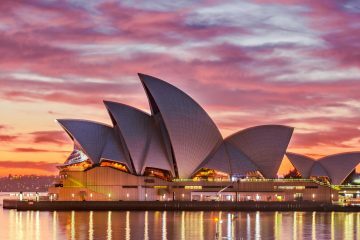 With a range of jobs, plenty of suburbs to live in and flight connection all over Australia and the world it’s a great base to kickstart your Aussie trip. And if you want to get off to the best possible start check out our Melbourne working holiday visa packages! How much does food usually cost? Eating out in Australia is actually quite expensive, but lucky for you, Melbourne is the best city to find good and cheap food in the country. You can find good take-out food for 8 AUD, while sit-down restaurants will cost you less than 14 AUD. If you prefer eating at home, a week’s worth of groceries may range from 65 AUD to 100 AUD. Broadsheet and Timeout have listed down the best cheap eats you can find in the city. Any must-know information before visiting Australia? Wear sunblock as Australia’s sun is particularly harsh. Be careful where you light your cigarette as smoking is banned in most indoor and public spaces. Internet isn’t available everywhere, so get your own hotspot. Rentals are listed as $ per week not month. It isn’t customary to tip service workers. Melbourne isn’t called the ‘world’s most liveable city’ for nothing. With a thriving art scene, wide variety of cuisines, vibrant nightlife, never-ending list of things to do, and of course, its welcoming residents, Melbourne is the kind of city you’ll never want to leave. 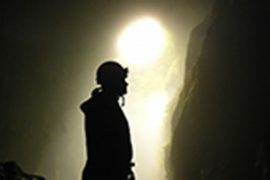 About The Author: Cal Bailey runs www.mountainleon.com – a travel blog he started after two years on backpacking around the world. If you want to learn more about life on the road or his blogging, make sure you read hist latest post on choosing a sleeping bag. Introducing The New Greyhound Australia WHIMit Pass – Unlimited Travel In Australia! Greyhound Bus Passes are the most popular option for travelling around Australia – especially the East Coast of Australia. From the hop on, hop off bus passes covering Sydney to Cairns and other popular routes to the flexible KM passes their comfortable buses (which also include USB charging ports for your phone and wifi) and multiple daily departures the Greyhound bus is the most convenient way to explore Australia. So we’re super stoked to introduce the latest Greyhound bus pass option – the WHIMit bus pass! The Greyhound WHIMit bus passes are designed for travellers who want the ultimate in flexibility for their Australia travel plans – which is why they all included unlimited travel in Australia! Yup, you heard that right – the WHIMit bus passes included UNLIMITED travel across the whole Greyhound Bus network – which includes the East Coast and even the Red Centre! And yes that also includes backtracking too! So if you loved your stay in Byron Bay and have headed north and realised you dont like Brisbane so much you can bounce back to Byron on the same pass no worries. The only restriction is your time frame – and the passes range from 7 days to a whole year so there’s plenty of options for people hitting tup Australia for a quick trip or a full working holiday visa. So what are the new options with the Greyhound WHIMit Passes? As you can see there’s a good variety of options to choose from and the 45 Day option is actually now the most cost effective add on to most of our East Coast Package Deals – just $5 more than the standard hop on, hop off pass but with the added advantage of being able to backtrack, ideal for those on tour only packages. Greyhound have now also launched the WHIMit and YHA Australia Package and WHIMit and Base Hostel Package – bundling up to 28 nights of accommodation with you pass for even more value! 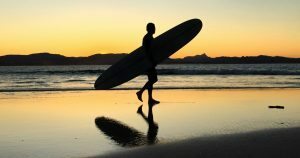 Want to learn to surf in Australia? 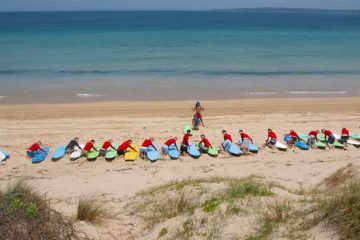 Check out our top destinations, surf camps surf schools for all the best waves Australia has to offer! If you’re spending any time in Australia, learning to surf should definitely be high on your bucket list! Over 30,000 miles of coastline means thousands of surf spots, world class waves, and plenty of beach breaks perfect for beginners to get their first taste of pure stoke. 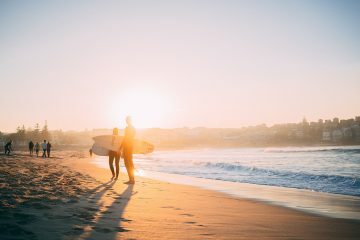 In this guide, we take a quick look at the different ways to learn, share our favourite Aussie surf spots that are perfect for catching your first waves, and round up our team’s pick of the best learn to surf packages available. Should you go it alone, book a lesson or stay with a surf camp? If you’ve surfed before, know what you’re doing, and feel confident in the ocean, renting a board and hitting the waves solo may work well for you. It’s also the cheapest option, happy days! If you’ve never surfed before, don’t be tempted to just rent a board and go; surfing is deceptively hard! Spend a few more dollars and get a proper lesson. You’ll have way more fun, be safer, and you’re also much more likely to nail that Instagram shot of you riding your first waves like a pro! A good surf school will pick out the best spot for the conditions on the day, show you everything you need to know to get you up and riding, plus teach you a little about ocean safety. A lesson is also perfect if you don’t have long, or want the flexibility of choosing as many or as few days as you need. It’s more expensive than board hire alone, but usually all equipment is included in the price which eases the blow a bit. It’s a simple truth that the more you surf, the better you get. If you want to improve beyond getting up on your first white water waves, soak up the surf lifestyle, and make new friends, you can’t beat the experience of a surf camp. It might be the most expensive option, but you get all the benefits of multiple lessons, plus everything, including meals and accommodation, is taken care of for you. All you need to think about is surfing and chilling! With its laid back hippie vibe and a variety of breaks for all levels, Byron Bay is arguably one of the best places in the world to learn to surf. Check out Clarkes Beach at the Eastern end of Main Beach. It’s usually slightly less crowded, is sandy bottomed, and offers a gentle right-hander that is ideal for beginners. Situated in Northern New South Wales, picturesque Yamba is another classic Aussie beach town. Beginners have a couple of options here with Turners Beach and Main Beach both offering gentle waves, as well as breaks for more advanced surfers. Situated off the beaten track in Solitary Marine Park between Sydney and Byron Bay, Spot X Surf Camp is a dream location. You’ll find amazing waves with breaks suitable for absolute beginners right through to intermediate and advanced surfers. What really sets Spot X apart from other locations though, is that it’s one of the few places where you can stay right on the beach. The perfect place to immerse yourself in Aussie surf life. Noosa is famous as one of the best long boarding spots in the world and also offers a variety of breaks. 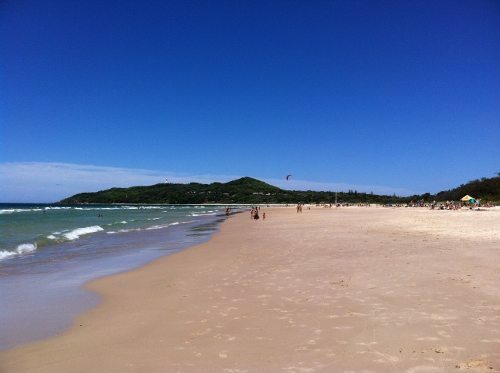 Noosa Main Beach is one of the few north facing beaches on the East Coast so is well protected and ideal for beginners. Also check out Little Cove, another sheltered spot that is absolutely stunning. If you’re hitting up Perth on the West Coast, you’ll still find plenty of opportunities to get some waves. The beginner breaks close to the city such as Cottesloe Beach, can get super crowded so you may find a little road trip pays off. Lancelin Back Beach, just over an hour away, is beautiful and is usually uncrowded. For the best waves, try straight in front of the car park. It’s not easy choosing between all the different options out there, so to help, we asked the experts (most of our team are die hard surfers!) for their top picks. 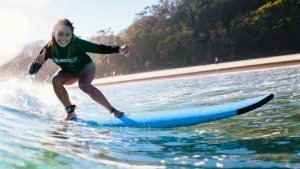 A surf camp with a twist, the beauty of this package is that you can use it to travel from Sydney to Byron (or vice-versa), as well as soaking up the surf life in the epic locations of Spot X and Byron Bay. Spot X’s secluded location means you’ll eat, sleep, and breathe surf. With accommodation right on the beach, you can enjoy long days in the sun and nights around the camp fire with good company. 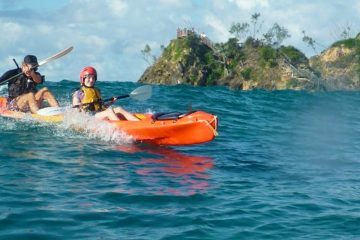 You’ll also have the opportunity to add other activities, like surf rafting, river kayaking or kangaroo golf. After Spot X, it’s on to the surfing mecca of Byron Bay for more lessons and after-surf fun with your new buddies. Each package includes your surf lessons and equipment, transport, accommodation, plus all meals while you’re at the camp. If a few days stop over in Spot X en route to Byron Bay isn’t enough to get your stoke going then why not take it a step further with the Mojo Surf Academy and spend 4 to 8 weeks enjoying the eat, sleep, surf repeat lifestyle? 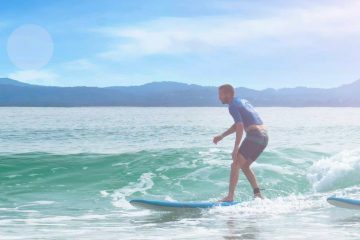 You’ll have heaps of time to practice your skills and take your surfing to the next level before heading further up the coast! Or for those who want to turn the beach into their office the zero to hero Mojo Surf Instructor Course is the way to go. This epic 3 month programme takes you from all the basics of popping and paddling right through to gaining your surf instructor certification – it’s the ideal way to turn your passion into a career even if you don’t have heaps of surf experience! Click here for more info on the Mojo Surf Academy or the Mojo Surf Instructor Course. If you’re short on time or funds, a half day adventure with Stoked Surf School could be the answer. Stoked will take you on a fun road trip to find the least crowded spot with the best conditions on the day. They’ll then run you through some theory on the beach, before (hopefully!) getting you up and riding the waves. Group sizes are deliberately kept small to make sure you receive enough attention from one of their qualified, experienced instructors, and a photographer comes along on every lesson to capture your best (and worst) moments. Which surf adventure will you choose? However you choose to do it, make sure you do it! There’s no place on earth better to get caught up the surf lifestyle than Oz. But don’t say we didn’t warn you, it’s super addictive! Check out our full selection of Learn to Surf packages in Australia and let us hook you up with an epic Aussie surf experience! 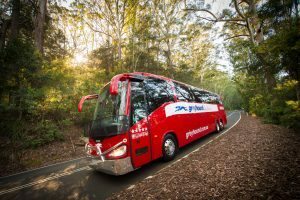 Premier Bus Pass Australia or Greyhound Bus Pass Australia – Which Is Better? The East Coast of Australia is one of the most popular backpacker routes in the world and for good reason – there’s just so much to see and do! But figuring out how to travel the East Coast of Australia can be a tough one as there’s the factors of time frame, budget and flexibility to consider. 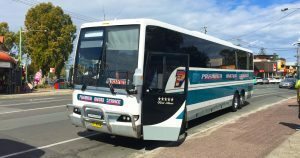 Both Premier and Greyhound offer the popular hop on, hop off bus passes which are the most affordable and flexible ways to travel along the East Coast of Australia – allowing you to plan your trip online, change bus dates if needed and have all your bus travel sorted in one easy pass. The only thing you need to keep in mind through is these passes is that you can only travel in a single direction (so no backtracking) however Greyhound also offer a KM Pass which is slightly pricier but does allow you to backtrack if needed. So What’s The Difference Between Premier Bus and Greyhound Bus? Apart form the price the main difference between Premier and Greyhound is the departures. Premier only offer a single departure per day whereas on most routes the Greyhound Bus Pass will have multiple options to choose from. For those travelling in low season this wont be a huge deal but in peak season (especially xmas and new year) the multiple options on Greyhound can be a huge lifesaver, especially for those less organised and booking last minute! Generally speaking the Greyhound Buses are much newer and even boast phone charging points and free wifi (although it’s limited to signal strength and is pretty slow!) – so if you’re looking for comfort then Greyhound often wins out. Which Is Better – Premier Bus Pass or Greyhound Bus Pass? For Ease Of Use – both options are easily managed online and you can change your travel dates through this system. For Flexibility – Greyhound is more flexible, with multiple departure per day and the Greyhound KM Passes also allow you to backtrack and is also well worth checking out if you’re grabbing internal flights too. Did you go with Premier or Greyhound? Looking for some epic Sydney to Cairns Tour Packages? Well here are our favourites for all budgets and travel styles so you can make the most of Australia! If you’re looking for the best Sydney to Cairns tour packages then we have you covered. Our travel team have been hard at work putting together a huge range of East Coast Package deals to help you make the most of your time in Australia. All based on personal experience and our own recommendations we’ve pulled out the best suppliers, the most fun hostels and the most budget friendly options so that you can enjoy everything that Australia has to offer at a discounted price. 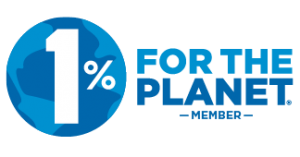 Because lets face it – you’re a backpacker and backpackers love to save money, it’s half the fun of the lifestyle! And of course all the below can also be booked in reverse from Cairns to Sydney or extended to include Melbourne too! Of course there’s still room to customise it slightly and bundle in even more incredible activities – but that’s the perfect place to start to any East Coast adventure! 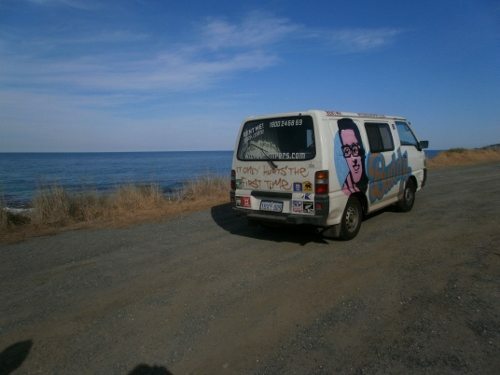 Want to complete the East Coast of Australia but also want a budget Sydney to Cairns tour package? Well no worries, we can help out with that! By including a day trip to the Whitsundays and Fraser Island instead of overnight tours the overall price is brought right down – giving you more budget towards other activities, food, or of course partying! And of course you can book it all open dated or add in accommodation as well. We then recommend opting for the Premier Bus Pass add on if you’re looking for the most budget friendly transport option to pair with it. Check out our Budget Essentials Sydney to Cairns Tour Package here. 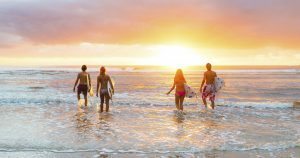 If you want to keep your Australia travel plans as flexible as possible then it’s still possible to get al the benefits of a discounted package deal, but without having to lock in your dates. Booking your main trips and tours open dated and in one package allows you to save heaps, but still allows you to stay fluid with your travel plans. 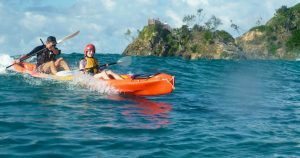 Whether you choose to just combine the main bucket list items like Fraser Island, The Whitsundays and The Great Barrier Reef of bundle in other extra trips like surf lessons, Cape Tribulation or dolphin kayaking kayaking is up to you – but the more you combine the better the savings will be. The main thing to keep in mind with open dates tours though is everything is subject to availability – so you’ll want to lock in your dates at least 7-14 days in advance, especially during high season. Fraser Island and the Whitsundays are the most important ones to lock in ASAP. If you don’t want to go fully open dated and have a rough idea of your plans you could also just pick a few key tours to lock in the dates for. Excluding accommodation then allows you to make changes to your plans, but still use your main dates as a way of structuring out your East Coast travels. Our East Coast Australia Essentials Package contains all the major trips and tours on the East Coast – so click here for more info. 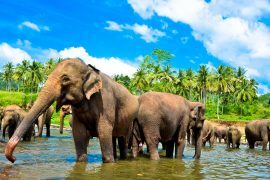 Of course there is no one size fits all when it comes to travelling and the above options might not quite fit what you wanted to do – whether that’s the activities, time frames or budget. So we’ve also created our own East Coast Custom Package Builder so you can get a fully tailored Sydney to Cairns Tour Package! Simply select your travel dates, destinations and the main activities and tours you’d like to include and we’ll do all the hard work piecing it together. And of course if there are any specific hostels, Whitsundays Boats or day trips you’d like to include let us know and we’ll make it happen! We love our travel blogger buddies – and who better to put together an epic East Coast Package than award winning blogger Chris from Backpacker Banter? 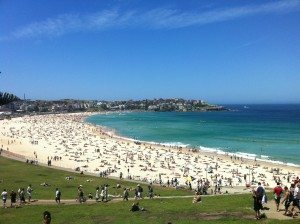 Not a bad way to spend a month in Australia hey? Found an awesome Sydney to Cairns tour package elsewhere? Seen a special offer which works out cheaper? Well forward the details and itinerary through to hello@rtwbackpackers.com and our team will happily beat the price for you! We want to make sure you have the best time possible on the East Coast of Australia and know how valuable every dollar saved can be (it all goes into the goon fund after all!) so we’ll go out of our way to get the perfect package for you at the bets possible price. And of course if you guys have any questions about any of our packages, general travel advice or tips get in touch and our travel experts will be happy to help. Have you travelled the East Coast of Australia? What would be your recommendations for a Sydney to Cairns tour package? What’s The Best Way To Experience The Great Barrier Reef? The Great Barrier Reef is one of the most famous natural wonders of the world and this huge natural structure running down the East Coast of Australia can even be seen from space! By far the most popular way to experience the reef is a Great Barrier Reef day trip – which run out of Cairns daily (weather permitting!) and these are the best choice for those on a limited time frame but also those looking for a budget friendly way to check out the barrier reef too. Our personal favourite for is a Great Barrier Reef day trip with the Deep Sea Divers Den – with their snorkel package coming in at $120AUD, which is great value for money. You’ll kick back on their beautiful and spacious boat, enjoy unlimited snorkelling at a variety of dive sites and feast on their lunchtime buffet. If you’re looking for something even more memorable and have a bit of extra budget to play with then the “Get High & Dive Package” is the way to go. This epic day trip includes unlimited snorkelling, an introductory scuba dive and even a scenic helicopter flight back to Cairns – it doesn’t get much more action packed than that! For anyone interested in scuba diving the Great Barrier Reef holds heaps of appeal. For experienced divers it’s a huge bucket list tick and it’s also the ideal place to try scuba diving for the first time with an introductory scuba dive. Again our pick of the bunch is with Deep Sea Divers Den who have a great range of dive moorings to choose from, a friendly crew and even an underwater photographer who’ll help snap your next Facebook profile picture next to Nemo! Their dive trips include all gear, however we strongly recommend paying the extra for a dive guide – you’ll get even more out of your time underwater. For those looking for an introductory scuba dive their crew of experienced and certified instructors will teach you all the basics needed to be safe under the ocean and guide you around. With a max depth of 12m it’s the perfect way to test out if scuba diving is for you and discover some of the amazing marine life that calls this part of Australia home. And of course if scuba diving is something you’re really keen on why not learn to scuba dive on the Great Barrier Reef and do your open water dive course in Cairns? For those on a tighter budget you can complete your course based out of Cairns which takes 4 days and includes 2 day trips out the reef. 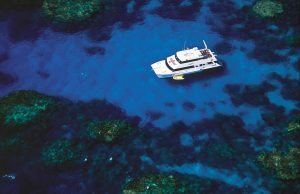 But if you want to go all out why not combine it with a 1 or 2 night Barrier Reef live aboard and spend a couple of nights on the reef? Either way you’ll work your way through the theory lessons, written exam and pool skills before putting your knowledge into practice with the open water modules – on successful completion you’ll be a fully certified open water scuba diver with a world recognised certification! 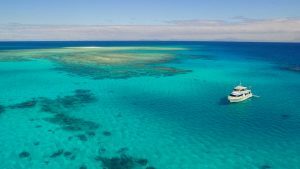 For those already certified scuba divers and wanting to make the most of their time in Cairns a Great Barrier Reef Dive Liveaboard is the ultimate option – allowing you to squeeze in even more dives and even some night diving too. Trust us, jumping into the water with a torch and surrounded by reef sharks is something you’ll never forget for all the right reasons! If you’re really serious about diving and have the budget then a longer trip out to the Cod Hole and Ribbon Reefs is well worth the splash (pun intended!) where you’ll discover pristine dive sites, less crowds and a whole array of incredible marine life – including the famous Giant Potato Cod. Don’t fancy getting wet or want to check out the Great Barrier Reef from a different perspective? 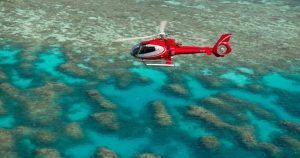 Well a scenic flight over the Great Barrier Reef will pack your camera full of incredible photos and give you a whole new appreciation of the vast size of this natural wonder. From a quick scenic helicopter flight to a a longer scenic aeroplane flight there are a number of options for all time frames and budgets. Keep your eyes peeled for manta rays cruising along the currents, turtles chilling on the reefs and of course the annual whale migration too. If you like your day trips with a bit more adrenaline then why not take in views across the reef from a skydive at Mission Beach? Available as a day trip from Cairns or of course from Mission Beach itself, it’s the most popular jump zone in Australia for a reason! With a guaranteed beach landing and stunning views across the coastline, ocean and reef this is certainly one of our favourite bucket list items that the East Coast has to offer! How are you planning to experience the Great Barrier Reef? Save 10% On Oz Experience Passes + FREE Barrier Reef Trip! Get in quick and save 10% on ALL Oz Experience travel passes and packages + score a FREE Great Barrier Reef snorkel trip on selected passes! Looking for some awesome Australia travel deals? How about saving a HUGE 10% off the famous Oz Experience bus passes and travel packages? Well luckily for you if you book ANY Oz Experience Pass or Package before Oct 2nd you’ll nab some amazing savings and even the opportunity to get a FREE Great Barrier Reef trip bundled in too! 10% Off ALL Oz Experience Sale! Yup that’s right, ALL Oz Experience Passes are now 10% off until Oct 2nd – so you can travel the East Coast of Australia for less! So whether you want to travel Sydney to Cairns, Brisbane to Cairns, Melbourne to Cairns or the other way around you can now lock in heaps of savings…money you can spend enjoying even more of what Australia has to offer! Check out the Cruiser Plus for the most popular Oz Experience Package deal – which includes heaps of awesome activities as well as your transport from Sydney to Cairns. Just use the promo code OZSEP17 at checkout! FREE Great Barrier Reef Snorkel Trip! As an added bonus if you book any Oz Experience Strewth, Bruce Cobber or Skippy package we’ll also bundle in a FREE Great Barrier Reef snorkel trip – once of Australias top bucket list items! Jumping on board the amazing Evolution Boat you’ll swim in clear, warm waters, check out the stunning coral gardens and even have the opportunity to go and find Nemo – it’s one of the top activities in Australia for a reason! To score this added upgrade you need to make sure you book before 31st August and use the code OZSEP17. And of course if the Oz Experience isn’t for you check out our range of East Coast Package deals and our East Coast Custom Package Creator to make the most of everything Australia has to offer! Planning a trip to Australia? Here are 15 East Coast Australia Must Do Activities you can’t forget to include in your Australia travel plans! The East Coast of Australia is packed full of incredible destinations and activities so planning your trip to Australia can be pretty tough! However to help make sure you don’t miss out on the best bits here are 15 East Coast Australia Must Do Activities that you should definitely fit into your travel plans! 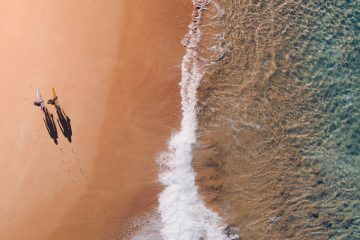 Australia and surfing go hand in hand – so whilst you’re travelling Australia there’s no excuse not to give it a try! Whether you just opt for a half day surf lesson in Byron Bay or go all out with a Mojo Surf Trip up the coast from Sydney or a full blown surf camp in Yamba make sure you get amongst the waves, throw some shakkas and feel the stoke! One of the most popular East Coast Australia must do activities – sailing on the Whitsundays is something you’ll never forget! Snorkel the beautiful reefs and soak up the stunning views from the Hill Inlet Lookout over Whitehaven Beach – whether you just head out on a Whitsundays day trip or jump on board an overnight Whitsundays sailing adventure this slice of Oz will pack your camera full of amazing pictures! Along with the Whitsundays, Fraser Island is the other East Coast Australia must do! Cruise around the worlds largest sand island exploring spots like the world famous Lake Mackenzie, Indian Head Lookout and the Maheno Shipwreck. For the most adventure a 3 day Fraser Island Camping Safari is the way to go but there are days trips and Fraser Island hostel option too. One of the most under rated stops on the East Coast, Magnetic Island is somewhere that should easily make your East Coast Australia must do list. Situated just off the coast of Townsville this amazing little island is best explored by “Barbie Car or Mote” and it’s only around 30 mins from one side of the island to the other! Snorkel amazing beaches, take in sunset from epic lookout points, spot wild koalas or even party at the monthly Full Moon Party. Grab one of our Magnetic Island Package deals for the easiest way to explore the island, which include return ferry transfers, accommodation, snorkel hire, welcome drink and even a koala cuddle at the Bungalow Bay YHA! No trip to Australia is complete without a visit the magnificent Great Barrier Reef and this epic natural wonder should be one of your top stops on the East Coast. Cairns is the main base for a lot of Great Barrier Reef day trips but if you’re looking for less travel time and less busy snorkel spots then check out the Great Barrier Reef Trips from Mission Beach too. For those on a budget the snorkel trips are the best value for ticking the Barrier Reef off your bucket list – but it’s also the perfect place for an Introductory Scuba dive or you can even complete your full open water dive course in Cairns too! And talking of scuba diving, the warm tropical waters of Australia are the ideal place to give it a go for the first time – with plenty of options for introductory scuba dives or full scuba dive courses too. And of course there are a huge array of dive sites and locations for those more experienced scuba divers as well. Our two favourite spots for scuba diving have to be Byron Bay and The Great Barrier Reef though – with both locations offers heaps of marine life for all levels of diver. Everyone loves dolphins right?! Well why not hit the water and kayak alongside them in Byron Bay? This is one of the top spots in Australia for dolphin spotting and combined with a picturesque paddle around the stunning beaches of the area and an ocean view of the famous lighthouse this is certainly an East Coast Australia must do – and best of all it wont break your budget either! If you’re travelling the East Coast of Australia during June to October you’ll be lucky enough to have the chance to witness the annual Humpback whale migration – with these gentle giants giving amazing displays all along the coastline. 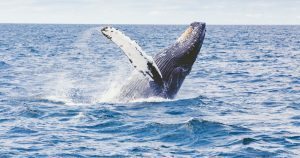 Hervey Bay and Byron Bay are the best bets for a memorable day whale watching though – but if you’re lucky you’ll also catch them on the Barrier Reef, Whitsundays and Fraser Island too. 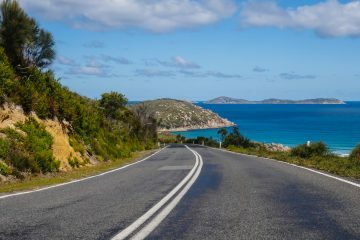 If you love a good road trip then the Great Ocean Road is certainly and East Coast Australia must do – the stretch of road from Melbourne to Adelaide is one of the best coastal drives in the world! 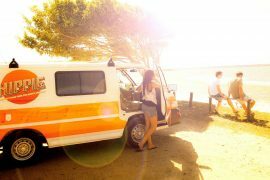 For the best experience hire a campervan and take at least 3 days to explore it, but if you’re pushed for time or on a budget check out some of the amazing Great Ocean Road day trips from Melbourne. No trip to Australia would be complete without a visit to the world famous Sydney Opera House and this global icon is selfie heaven! Wander around Circular Quay for some alternative views or grab the ferry across to Manly Beach and grab some snaps from the water. Of course if you want to splash out and treat yourself you can also check it out from the Sydney Harbour Bridget Climb too! 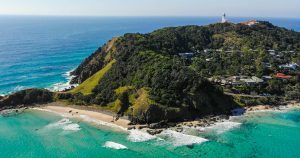 Byron Bay is the most Easterly Point of Australia and the lighthouse walk is one of the best free actives that the East Coast has to offer. Wander long the coastal path past famous surf spots like The Pass and Wategos Beach keeping an eye out for dolphins surfing in the waves along the way. But for the best experience make sure you make it to the Byron Bay lighthouse for sunrise or sunset – it’s well worth the effort! If you want to really get your adrenaline going there’s not much that can beat jumping out of a perfectly good plane and ticking skydiving off your bucket list! 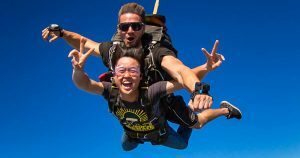 Australia has some epic skydive locations too – with Mission Beach, Airlie Beach and Byron Bay being the top pics, although skydiving Mission Beach is the most popular with amazing views along the coast and a beach landing. The only place in the world where two world heritage sites meet – Cape Tribulation is home to the incredible Daintree Rainforest AND the Great Barrier Reef! Wander through the forests, spot wild crocodiles and laze around on stunning beaches – whether you choose a Cape Tribulation day trip form Cairns or opt to spend a few nights up there exploring a bit more and indulging in activities like kayaking or jungle surfing it’s worth heading that bit further north for. Nothing quite says tropical holiday like a picture swimming in a waterfall does it?! Well luckily Australia has heaps to choose from and you’ll be spoilt for choice all along the East Coast. If you want to go all out though a Cairns Waterfall tour through the Atherton Tablelands visits some of the best – including the famous Milla Milla Waterfall which featured in the herbal essences hair flick advert and was even the backdrop for Peter Andres “Mysterious Girl” music video! 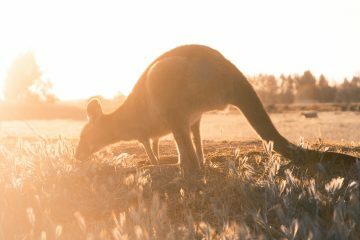 If you travel Australia and don’t take the time to chill with some of the local wildlife you’re doing something wrong – who doesn’t want to kick back with a kangaroo, come eye to eye with a crocodile, kayak with dolphins or cuddle a koala? Tick them all off the list with a trip to the famous Australia Zoo, or visit less crowded options like Lone Pine Koala Sanctuary or Currumbin Wildlife Sanctuary for an up close and personal experience with some of Australia fluffy or scaly residents! 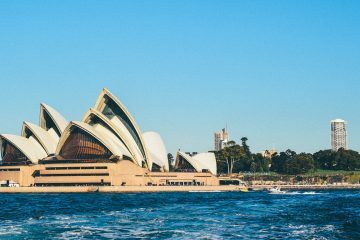 Need help planning your Australia trip? Chat to our travel experts and we’d be happy to help or simply fill out our East Coast Custom Package form and create your perfect trip! Any other things you’d add to our East Coast Australia Must Do list? Kiwi Experience Or Stray NZ – What’s The Best Way To Travel Around New Zealand? 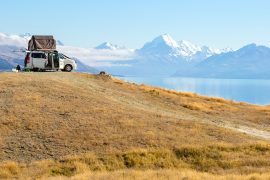 Figuring out the best way to travel around New Zealand is tough call – the land of the long white cloud is an incredible place to explore and you want to make sure that you find the best option for you. By far the most popular ways to travel around New Zealand are the Kiwi Experience and Stray NZ buses – both of which offer a variety of hop on, hop off bus passes covering the North Island, South Island or whole country. Whether you want a short loop around the highlights of Waitomo, Taupo and Rotorua in the North, fancy exploring the famous Queenstown or Milford Sound in the South or want to spend a few months packing in as much NZ goodness as possible there’s something for everyone. But despite their similarities the Kiwi Experience and Stray NZ boast much different personalities – so which is the best way to travel around New Zealand for you? The Kiwi Experience is arguably the most famous of the two backpacker hop on, hop off bus options in New Zealand and their iconic green buses have helped hundreds of thousands of travellers explore NZ. With heaps of passes to choose from – including north island only, south island only and whole country passes it’s easy to find one that suits your time frame, start location and budget. Hitting up all the major destinations including the likes of Queenstown, Rotorua, Taupo and Franz Josef you’ll get to discover the best of what NZ has to offer. Best of all is the fact you have 12 months to begin your pass from the date of purchase and then 12 month to complete your route from the first day of travel – so whether you’re heading there for a few weeks or a working holiday visa it’s ideal. Their full country passes also offer unlimited loops – so you can go again! Kiwi don’t offer any accommodation inclusive passes (which Stray do) but you’ll benefit from heaps of accommodation deals and a guaranteed bed in each spot. The Kiwi Experience offers some awesome party vibes throughout – so it’s the perfect option if you want to meet heaps of fellow travellers and enjoy the epic New Zealand night life in each destination…so if you’re looking for a more chilled vibe or are slightly older (25+) then maybe Stray is the better option! In terms of setup Stray NZ is very similar to Kiwi Experience – it’s a hop on, hop off format, the passes are valid for 12 months and there are a variety of passes to choose from. For those who want a more tour like experience Stray NZ also offer a range of Stray Journey Passes which are set travel times and also include accommodation and tours. For us though the best thing about Stray NZ is they offer some passes covering some more off the beaten track destinations like Whakahora and Te Kaha – allowing you to discover even more of New Zealand. They also hit up the amazing surf town of Raglan – which is one of our teams favourite places for some chilled vibes and waves. And of course you won’t miss out on favourites like Kaikoura, Queenstown, Franz Josef and Wanaka either! Compared to Kiwi Experience Stray NZ offers a more relaxed vibe (don’t worry there’s a good dose of party thrown in!) but it’s certainly more about exploring and experiencing New Zealand that doing shots. Best For: early 20’s + who want a more relaxed experience or those looking to discover more alternative destinations. Whichever option you choose – both Kiwi Experience and Stray New Zealand have some epic sales from time to time, so keep an eye out on our travel deals section for the latest offers and save even more on your New Zealand adventure! Have you travelled New Zealand with Kiwi Experience or Stray NZ? Trying to figure out the distances between top destinations on the East Coast of Australia? Our interactive map makes it quick and simple to plan! Travelling around Australia can be a huge task to organise – Australia is HUGE! In fact you can fit the whole of Europe inside of it! And one things we’ve noticed with helping people plan their East Coast Australia trip is that a lot of people underestimate how big Australia actually is and how long it can take to get from place to place. And with so many awesome places to visit it can become pretty confusing where they all are and how to get between them! But don’t worry – we’ve put together a handy map which shows all the top destinations in Australia and we’ve even added in the bus travel times to/from the next/previous stop – making it super simple for you to get your bearings and put together your perfect East Coast adventure! Here’s our East Coast Australia map covering all the most popular stops between Melbourne and Cairns – including the likes of Byron Bay, Sydney, Rainbow Beach (for Fraser Island) and Airlie Beach (for the Whitsundays). Just click on the pin to bring up the travel info for the next location up and down the coast – easy as! If you’re busy planning your backpacking trip to Australia and not sure whee to start check out our East Coast Australia Package Deals for some inspiration and our top travel itineraries! If you already know where you want to go and what you want to do put all the details in our East Coast Custom Package Creator and our travel experts will put everything together for you and hook you up with some epic discounts! What’s The Best Fraser Island Tour? Finding the best Fraser Island tour can be a tough decision – there are so many to choose from with a whole heap of options to suit every style and of course budget! So to make things a bit easier for you we’ve put together a quick breakdown of the best Fraser Island tours – so you can find the one that’s perfect for you! One of the most popular ways to see Fraser Island is an overnight camping tour. 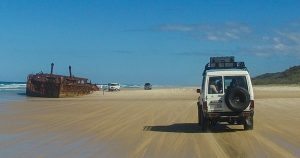 These tag along 4×4 tours allow you to get behind the wheel and drive around this awesome island, which makes them the best Fraser Island tour for adventure! After a fun day of exploring everything that Fraser Island has to offer you’ll head to the permanent campsites on the island, kick back around the BBQ, sip a cold beer (or most likely some glasses of goon!) and enjoy the incredible night sky. Available in 3 day/2 night options you have a few companies to choose from – including Pippies, Dingos and Nomads Fraser Island. If you want the all out Fraser Island camping tour our top pick would be Pippies, with its awesome vibes and great location – however it departs Mon, Tues, Wed, Fri and Sat so you’ll need to make sure that fits into your time schedule. Dingos on the other hand offers a very similar style tour, but does add the extra flexibility of daily (except December 23rd/25th/30th and 1st Jan). Group sizes are slightly bigger, which is great for availability too. Both Pippies and Dingos start in Rainbow Beach and you can easily tag on some pre and post trip accommodation at their associated hostels their too. Nomads Fraser Island offer a bit more flashpacker camping luxury at their legendary tipi campsite within Eurong Beach Resort. More comfortable than the other camping options it also means you have access to all the facilities of the Beach Resort – including the on site bar. The Nomads trip departs from Noosa, which makes it the perfect option for anyone looking for a short Fraser Island Package (you can fly into Brisbane, get a bus to Noosa and then head back to Brisbane). If camping isn’t your thing and you want a more comfortable Fraser Island experience then there are a couple of options to choose from too. Departing from Rainbow Beach or Hervey Bay the overnight Fraser Explorer hostel options are a 2 day/1 night option, however unlike the camping tours these aren’t tag along 4×4 format – instead you’re driven around in an epic all terrain tour bus. Great if you want to kick back and just enjoy the ride but it does lack the adventure the other options offer. 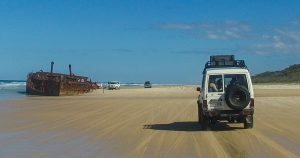 If you want the full 4×4 tag along tour experience combined with hostel accommodation then the best choice is Nomads Fraser Island. As with their camping options this departs from Noosa and you’ll be kicking back in Eurong Beach Resort – making it the best Fraser Island tour for adventure with an added level of comfort. It runs year round as a 3 day/2 night option on Tues, Thurs and Sat or as a 2 day/1 night option between Dec and April departing on Wed and Sat. If you’re pushed for time or simply don’t fancy staying overnight on Fraser Island then a day trip is a great way to quickly pack in the highlights. 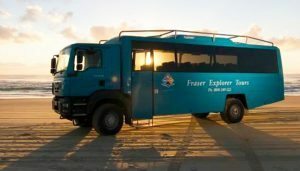 The two most popular options for day trips to Fraser Island are Cool Dingos and Fraser Explorer – with our personal favourite being Fraser Explorer. However with all the day trips you’ll be in a 4×4 tour bus rather than tag along tour format, so you lack some of the adventure. These day trips are a great back up option if availability is full on the overnight options (especially for peak season or last minute bookings!) departing from Rainbow Beach and Hervey Bay everyday. 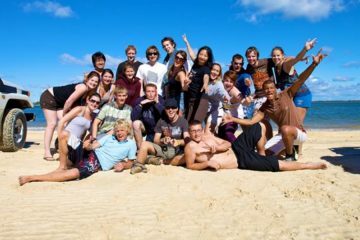 So out of all the options which is the best Fraser Island tour when it comes to value for money? Obviously if budget is the key thing the day trips are the cheapest at around $170, however if you’re wanting the full adventure experience our pick would be the overnight options, especially if you add in the discounted pre and post tour accommodation packages. Pippies is the best value and comes in at just $417, or $469 with 1 night pre and post tour accommodation – which includes food, tent, 4×4, guide and pretty much everything you need. However if you aren’t travelling with a sleeping bag it an extra $10 to hire one for the trip. 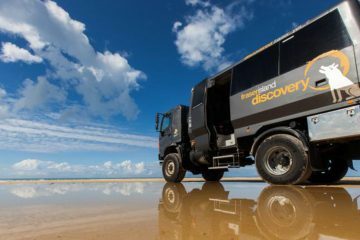 Hopefully our mini guide will help you choose the best Fraser Island tour for your style and budget – have an awesome time! And check out our full range of Fraser Island Tours here. Have you visited Fraser Island? Which company did you use and how did you find it? Not sure where to stop off on your East Coast Australia trip? Check out some of the top destinations between Melbourne and Cairns! The East Coast of Australia is one of the most popular travel routes on the planet – with heaps of backpackers and travellers travelling between Sydney and Cairns…or from Melbourne too! But what are the must see destinations that you should stop off at along the East Coast route? Well we’ve put together our East Coast Mini Guide which runs through some of the top spots and why you should pencil them into your travel plans! This cafe culture city is a hub for big international events – including the Melbourne Cup, Australian Tennis Open and F1 Championship. But when you’re not busy watching on the big screen in Fed Square take the time to explore the amazing street art, tram lines and St Kilda Beach. For those looking for even more to keen themselves busy a day trip to Philip Islands Penguin Parade or a road trip along the Great Ocean Road is a must! Often confused as the capital of Australia (that’s Canberra incase you didn’t know!) 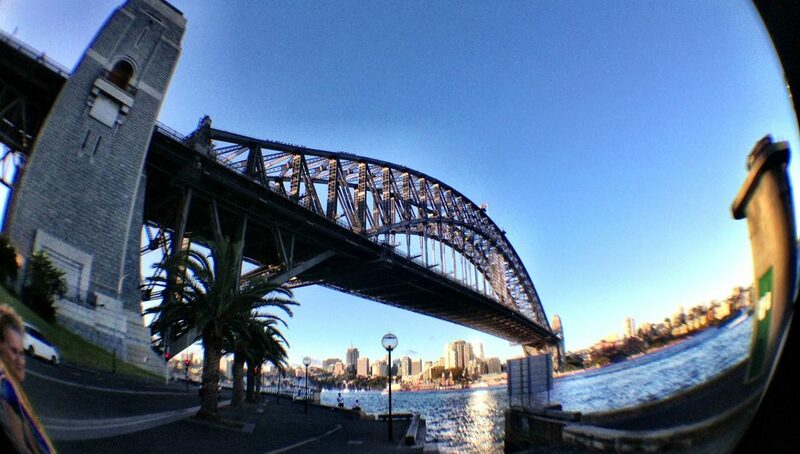 Sydney has some of the most icon destinations in Oz. Wander around Circular Quay and get your snaps of the stunning views over the Opera House and Harbour Bridge, hit the beach at Bondi or escape the city to the Blue Mountains. Yamba is one of the bets kept travel secrets in Australia and this sleepy little surf town is a great additional stop of you have some more time to play with! Wit pumping surf, amazing beaches and some incredible beach walks it’s the ideal place for some downtime. 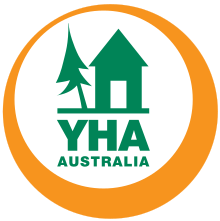 Make sure you head to Yamba YHA and say hi to Shane to owner…he’s a total legend! Byron is all about the laid back beach lifestyle, so get ready to kick off your shoes and enjoy everything ocean based! 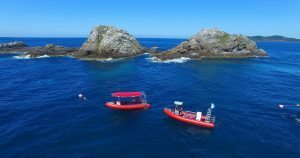 Whale watching, dolphin kayaking, surf lessons and scuba diving are all great ways to spend your days in the Bay or for those who want a bit more adrenaline skydiving over Australias most Easterly Point is incredible! Often referred to as the Miami of Australia spots like Surfers Paradise on the Goldie are full of all the glitz and glam of city life with skyscraper lining the beach front.If shopping isn’t your thing then the range of theme parks here has something for everyone! 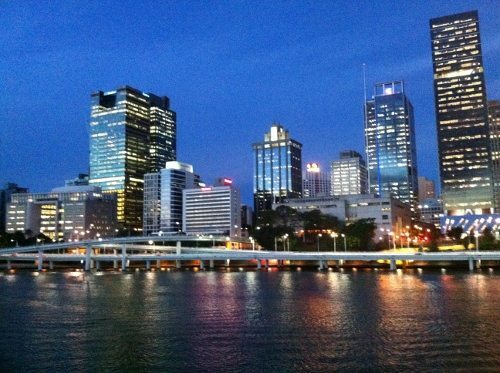 Brissie is a popular spot for those looking to stop off and find some work midway up the East Coast and the capital of Queensland proximity to spots like the Gold Coast, Byron and Noosa make it a great base. If you’re spending some time here make sure you head out and see the ship wrecks on Moreton Island, one of the best snorkelling sites in Australia! Incredible beaches, more laid back surfer vibes – Noosa is another stop which takes full advantage of the Aussie beach life! Get in amongst nature and explore the Noosa Everglades on a canoe tour and witness some spectacular sunsets over the estuary. One of the main gateway to Fraser Island Rainbow Beach also has heaps to see and do! Whether you’re kitesurfing, whale watching or skydiving if you have some extra time to play with check it out! One of the must do bucket list items in Australia, Fraser Island is the worlds largest sand island – so what better way to explore it than cruising around in a 4×4 through the rainforest and beach? Spots like Lake Mackenzie, Champagne Pools, and the Maheno Wreck will pack your camera full of awesome pics! As the departure point for the Whitsunday Island Airlie Beach boasts and incredible nightlife! If you’re relaxing pre or post sailing adventure a scenic flight over the Great Barrier Reef or day kayaking around the bay is the way to go, or just chill out by the free lagoon swimming pool with your travel buddies! 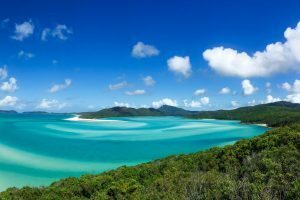 Another one of the big bucket list items in Australia, The Whitsunday Islands are all about finding a tropical paradise! 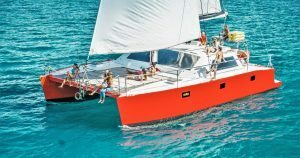 With heaps of sailing adventures to choose from – from party boats to scuba diving – you’ll check out spots like Whitehaven Beach, Hill Inlet Lookout and snorkel some incredible spots on the Southern Great Barrier Reef. Just off the coast of Townsville is Magnetic Island and with its abundance of wild koalas and friendly rock wallabies it’s a great spot to relax and meet some of the unique wildlife that calls Australia home! 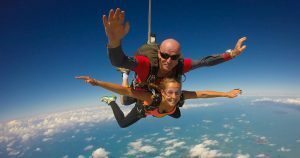 If you’re looking to skydive in Australia then Mission Beach is the perfect place to do it! With views across the Great Barrier Reef and Australis only beach landing it’s not hard to see why! If you’re staying longer take a trip to Dunk Island for some epic snorkelling or hit the Tully River for some White Water Rafting! As the gateway to the Great Barrier Reef Cairns is one of the biggest dive spots in Australia! So if you’re looking to complete your Open Water Dive Course or and Introductory Dive this is the spot! For those who want some non diving fun get your adrenaline on the go with a bungy jump or head north to explore Cape Tribulation for the day. Or if you’ve had a big night out at the Woolshed or Gilligans maybe just relax by the waterfront lagoon pool and have a BBQ! No trip to Oz is complete without checking out the Great Barrier Reef – one of the natural wonders of the world! Join a snorkel day trip, give scuba diving a go with an intro dive or go all out with an overnight dive boat in search of Nemo! Get into the big blue and find explore some more of he underwater world. Just north of Cairns lies Cape Tribulation – unique in the fact it’s where two world heritage sites meet, The Daintree Rainforest and The Great Barrier Reef. Enjoy the waterfalls, join a crocodile river cruise or go for a scenic walk through the rainforest – it’s a stunning part of Australia! Have you travelled East Coast Australia? Any stops you’d add in? Where Is The Best Location To Do Your Open Water Dive Course? Trying to figure out where to complete your open water dive course? We'll here's our quick guide to help you figure out where to get under the water! Learning to scuba dive is an amazing bucket list item to tick off on your travels – the world is over 70% water after all! Without a doubt Koh Tao in Thailand is the cheapest place to complete your PADI or SSI Open Water Dive Course. Packages are range from £180-200 depending and often include accommodation too – even more of a bargain! This famous Thai island is a popular spot with backpackers due to this – with a variety of dive centres to choose from offering a full range of courses up to divemaster and instructor. When you’re not busy diving there’s a wide range of activities to do – whether you fancy kayaking, island hopping or just kicking back at a beach bar with a cold beer! If you’re looking to learn to dive on Koh Tao check out our dive courses here. 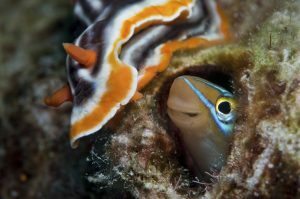 If you’re looking for our personal recommendation on where and how to complete your open water dive course you can’t get much better than completing it on a Great Barrier Reef Liveaboard! 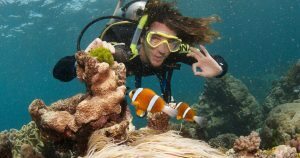 Based out of Cairns you’ll complete your theory and pool modules on the mainland before heading out to the Great Barrier Reef for a min of 2 days and 1 night to complete your open water dives. So not only will you complete your dive course and become certified but you’ll also get the opportunity to sleep overnight on the Great Barrier Reef – an amazing experience in itself! It comes with a bit of a higher price tag than just completing it as day trips (around $705AUD all in) but it’s well worth the extra cash and then that also covers your meal and accommodation on the boat too. For more information check out our Great Barrier Reef Liveaboards here. We’re tied between two locations for completing your open water dive course in Australia. Firstly is Cairns as you get to dive on the Great Barrier Reef – which is amazing as…well…it’s the Great Barrier Reef! A budget dive course here where you complete your open water modules on two day trips to the reef is around $625AUD. For those who want to learn to scuba dive as they head up the East Coast our other favourite is Byron Bay. This amazing beachside town is full of barefoot living and good vibes – and the scuba diving here is incredible too! You’ll complete your course out at Julian Rocks Marine Reserve and depending on the season you’ll have the opportunity to swim alongside Grey Nurse Sharks, Manta Rays and Leopard sharks along with the array of other awesome marine life that calls this spot home. The Bryon Bay Dive Courses also allow you to complete your theory work online before arriving, so the whole thing only takes 3 days instead of 4 – ideal for those who want more time to explore Byron (an amazing spot for learning to surf) or who don’t have heaps of time to travel around Australia. For more information on Great Barrier Reef dive courses click here and for Byron Bay dive courses click here. If you need any help figuring out where to complete your open water dive course drop us an email or chat to our travel experts on our live chat and we’d be happy to help! 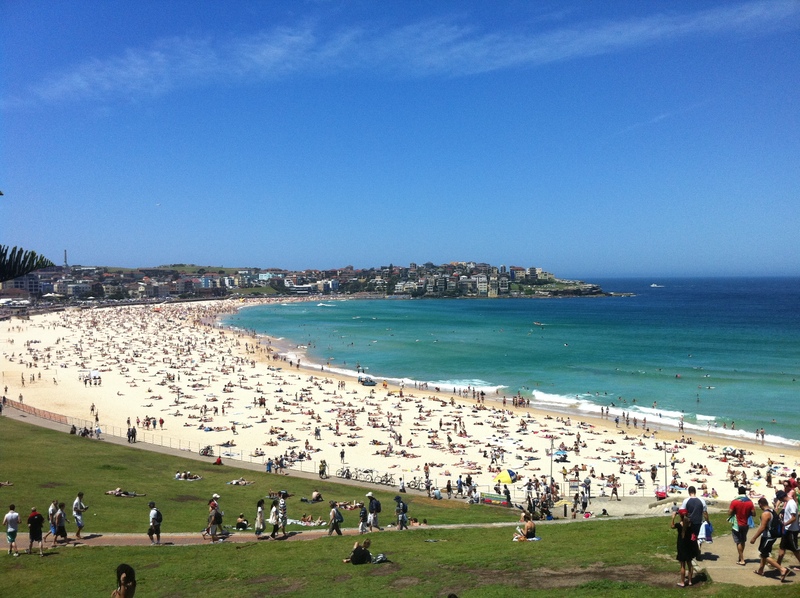 Everything you need to know about working on your working holiday visa in Australia! So you’ve decided to start your adventure in Australia: amazing! Australia has an abundance of opportunities when it comes to travel, adventure, finding friends, finding yourself and earning some money! As our inhouse Aussie Oceana is well placed for any advice you might need when heading down under (no innuendo intended!) and she’s done her fair share of travelling around her home country as well as abroad. So we asked her to share he personal Top 5 Aussie Stop Offs to help you out with planning a trip to Australia..
What’s not to love about Cairns? This tiny Australian town is a backpacker haven, and heaven! It’s packed to the brim with awesome hostels and backpacker bars with all the cheapest drink deals. Everything is super close making the vibe of Cairns is 100% backpacker friendly. Cairns is not a town where the working holiday travelers come looking for work, so it’s full of people who have money and are looking for a party. This means that every night there’s something going on, a willing group of people looking for an adventure and a whole lot of madness just waiting to happen. 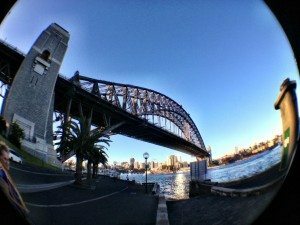 Sydney – Totally Worth The Hype! Ah Sydney, the crown of Australia. Not the capital city but close enough as far as most backpackers are concerned. This is the place most people start, and it’s also often where they finish. 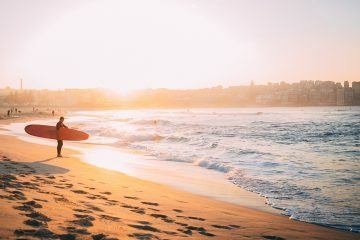 Good news for Sydney’s vibe because the working holiday types are totally evened out by those looking to make a good start, and those heading out of Australia with a bang. 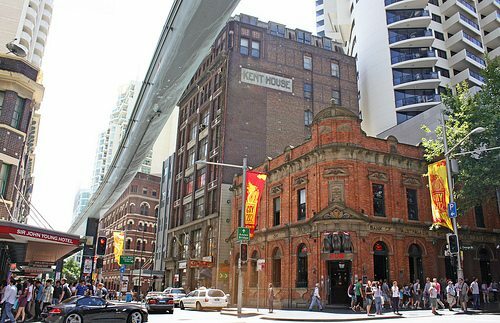 The city has a whole lot of great hostels, some wicked backpacker bars and enough entertainment to keep anyone going. As big cities go, Sydney is a pretty great place all over, with sunny days, great beaches and lots of opportunities to soak up the Australian lifestyle. Australia’s northern most capital city, Darwin certainly doesn’t look like much compared to Sydney. It’s not a massive backpacker town all year, although in the Dry Season (May-October) they do flood in looking for work. But there’s something about Darwin that really sets is apart. Closer to Asia than to most southern Australian cities (Timor is less than 1 hour flight) it has a uniquely tropical Asian atmosphere that’s unrivaled. Equal parts great Australian outback, and tropical northern gem Darwin boasts Asian markets, beautiful beaches and fantastic weather (as long as you like it hot!). Now, there’s probably not a backpacker out on the Australian (and perhaps international circuit) who doesn’t know about Byron Bay. Hardly the tiny hippy hub that once made it famous, Byron Bay is still a great place to be. Surfing hub and alternative cultural vibes abound, Byron also has an awesome hostel scene and some unbelievable backpacker bars that just must be visited. The surrounding area is flawless, and although it’s sometimes better in the off-peak season, peak definitely guarantees lots of crazy people to keep the party pumping all night long! Australia’s culture capital? Well, I’m not going to start any wars here, but there is definitely a lot to see and do in Melbourne. Melbourne definitely holds the upper hand when it comes to street art with almost every available public wall canvassed with graffiti creations. The same could probably be said for the competitive coffee war, easily the best in coffee in Australia and at some of the cheapest prices. Melbourne is full of great entertainment venues and things to see, some more expensive than others. But even without the dollars, the backpacker scene is very much alive, and everyone knows where to go for the cheapest bars, and the free gigs. They might lead you down winding alleys to hole-in-the-wall bars, but that’s what makes Melbourne magical. What would be your Top 5 Aussie Spots? Care to share them and why?! Speaking Australian; pretty simple, right? Wrong! Beverley gives on how NOT to confuse your snag with your stubbie! Yeah I know what you’re thinking; Australian people speak English, I speak English, you speak English, what more could there be to learn, really?! Spend just a few days in Australia and it becomes clear that language barriers do exist….you just have to know how to get round them! Wait, those aren’t pint glasses! No, they’re schooner glasses and it’s basically the norm in Australia for a lager or ale to be served in one. A schooner is 425ml, about 3/4 of a pint. A friend told me a few weeks ago that beers are served this way as, if you were to sit in the Australian sun with a pint you’d probably get halfway through and find yourself drinking warm beer (never good) but I also sense it’s something to do with the stricter alcohol rules which Australia also has in place. There are some pubs where you can buy a pint but you can also ask for something called a pot which holds 285ml – you’ll often find that you’ll get a free pot of beer with a meal in some pubs as a meal deal. The above applies to Queensland and Victoria but in New South Wales for some reason a pot is called a middie. In South Australia and pot is a schooner. In Western Australia a pot measures 575ml which, being slightly more than a pint, is usually just called a pint by all the English people living there. Maybe it’s time for a lie down……but not on the duvet. Nope, in Australia a duvet is called a doona. Ooooh and don’t forget the goon; yes, it’s a gross cheap wine in a bag but it’s cheaper this way to get blotto, loose or magotted! At some point you’re going to have to eat though right? In Australia a pepper is a capsicum and an aubergine is an eggplant. A courgette is a zucchini and if you want a toasted sandwich you need to ask for a jaffle. 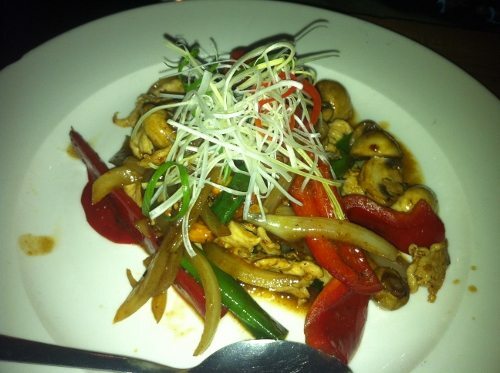 Chicken with pepper....I mean capsicum....no, pepper! A chicken is a chook and a lolly is what we’d probably refer to as sweets or candy. tasty cheese is cheddar cheese and cheddar cheese is that plastic cheese normally reserved for barbeques and kids lunch boxes. Want a sausage from the barbeque? Ask for a snag and if you’re having it in between two pieces of bread it’s a sanger. Throw another shrimp (read prawn) on the barbie and get a stubbie from the Esky – an esky is an insulated container for food and drinks, usually taken to the beach to keep your beers cold! That famous Australian dessert, the pavlova? Call it a pav. Need to pop to the corner shop? Here it’s a milk bar. And there’s no need to waste your breath asking for a cappuccino, that’s far too much effort, just call it a cap! And these are just a few of the many ‘Australianisms’ I’ve come across! Can you think of any more? The East Coast of Australia, from Melbourne to Sydney (oh and Canberra…..) and finally up to Cape Tribulation in the far North of Queensland, is probably the most popular and most visited part of Australia and with a huge amount of exciting cities and beautiful beaches to explore we can see why. But how can you travel Australia’s East Coast and see everything it has to offer? There are two main budget airlines for domestic flights in australia are Jetstar and Virgin Australia (formerly Virgin Blue), both will get you pretty much anywhere on the East Coast, providing you’re not fussy about having to get a bus or taxi from the airport. How about flying from Sydney or Melbourne to Ballina where, after a 30 minute bus journey you could be exploring Byron Bay or fly from Brisbane to Prosperine where you can sail, dive and snorkel your way around The Whitsunday Islands? You can easily plan your trip to Gold Coast with Expedia and try your hand (or feet!) at surfing in Surfers Paradise, touch down at Cairns airport to explore the Great Barrier Reef, stick around Sydney to find the perfect balance between beach and city-living and while away your time in Melbourne with coffee and cake in one of its many cafes. Flying isn’t always the cheapest option but if you’re looking to get somewhere quickly and conveniently then it’s definitely the way to go. Greyhound Australia and Oz Experience both have different packages you can use to travel Australia’s entire East Coast in one go or, if you’re planning on working in Australia or just staying longer in places you like, you can opt for a 12 month pass – just use the calculator on their website to work out how many kilometres you’ll need over the year and you’re away! The great thing about travelling by bus is that it actually stops at the most popular destinations – you can see the entire East Coast by bus easily without the hassle of airport transfers and departure lounges and you’ll easily make friends along the way. Prepare for a bumpy ride though! Ah the traveller’s dream! Riding around the country in a campervan, getting back to nature, cooking on a camping stove, beers on the beach – perfect. Thankfully there are a huge amount of companies in Australia who want to make this dream come true, for a price of course. The most popular choices are Jucy, Wicked Campers and Spaceships but there are smaller companies as well. This is when your negotiation skills come in handy as your try and play one of against the other in a bid to get the best deal: to be honest, it works! You can also check to see if there are any relocation deals available too – this means that, usually for something ridiculous like $1/day, you can ‘relocate’ a campervan to a specific depot in a certain amount of time. Campervanning is the ultimate adventure and ensures that you get to see, stay and do whatever you want in your own time frame. This one takes a bit of courage but once you’ve stuck your thumb out a few times you’ll get used to it. Obviously hitchhiking your way up the East Coast isn’t the most conventional way to travel and so you’re going to have to get used to being flexible. There won’t always be someone driving where you want to go and you’ll have to change plans – it could be the best thing you ever did though; meeting new people and living one day to the next without any plans can be exciting! Obviously if you’re going to hitchhike it goes without saying that you need to be careful and stay safe especially if you’re travelling alone. Stay in contact with friends or family via text, keep your wits about you and don’t try and hitch a ride in the dark. Wait, didn’t we already cover this? Well, no. Scour the noticeboards in any Australian hostel or even just pop onto Gumtree and you’ll find heaps of people already driving somewhere who want a road trip buddy or are willing to take a passenger, usually just for the cost of petrol money. Again, this requires a lot more planning and a flexible approach but it’s definitely a fun way to meet people, have an adventure and catch a cheap ride! How did you travel Australia’s East Coast?